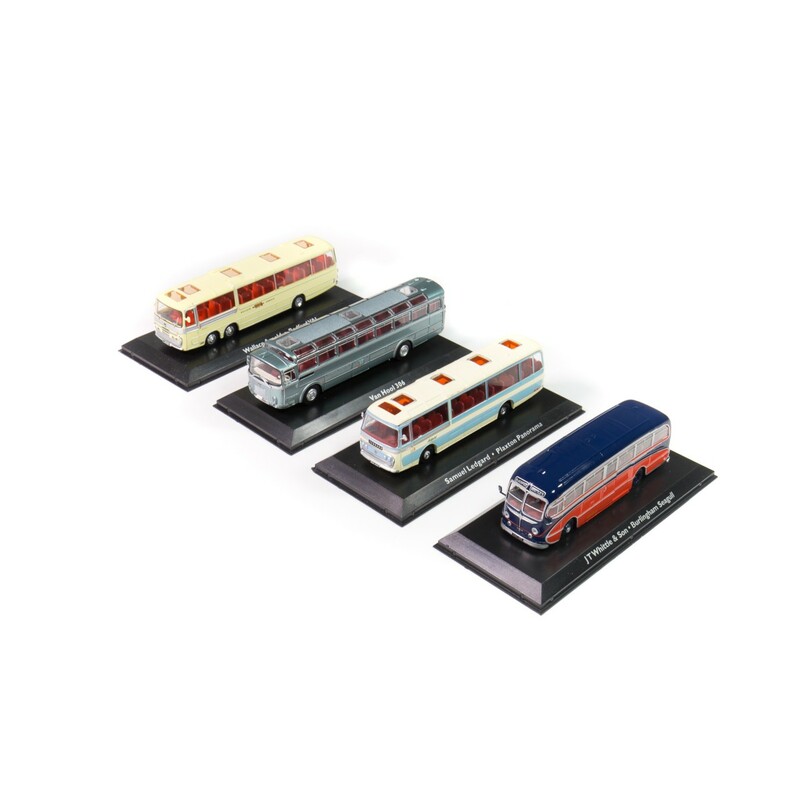 Detailed models that reproduce legendary buses, with the original liveries of the transport companies of the time. Legendary buses and coaches which travelled the roads of Europe in every era and under every circumstance, carrying countless passengers. 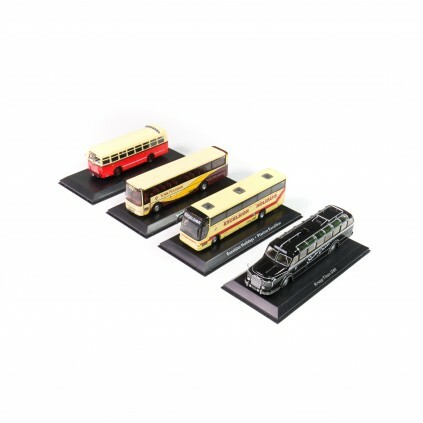 This collection brings together some of the most representative vehicles from each period, from the Hungarian Ikarus to the Belgian Van Hool, from the British Bedford OB to the imposing German vehicles derived from heavy trucks, such as the extraordinary Krupp Titan. 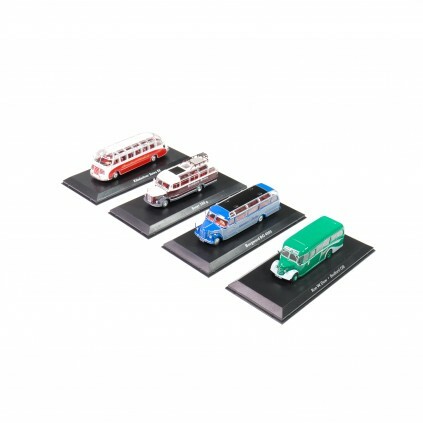 Each model is presented with painstakingly reproduced colors and insignia of the transport companies of the time. A collection no enthusiast can afford to miss. BEDFORD OB: Small British bus produced between 1939 and 1951. The livery is that of tourist company Dewsways Tours. 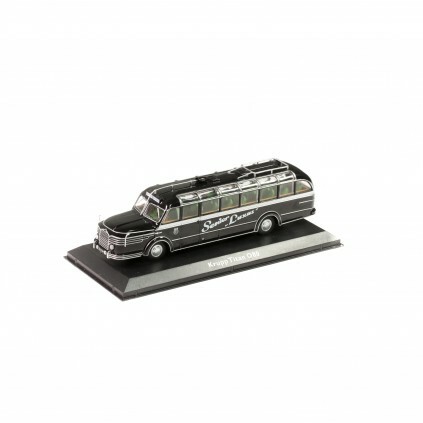 Model made of metal, complete with display base and box. BORGWARD BO 4000: Large bus for long-distance routes produced by German automaker Borgward with the insignia of the Wander Falke company. Model made of metal, complete with display base and box. BROSSEL JONCKHEERE: City bus from 1957 produced by Belgian firm Brossel. 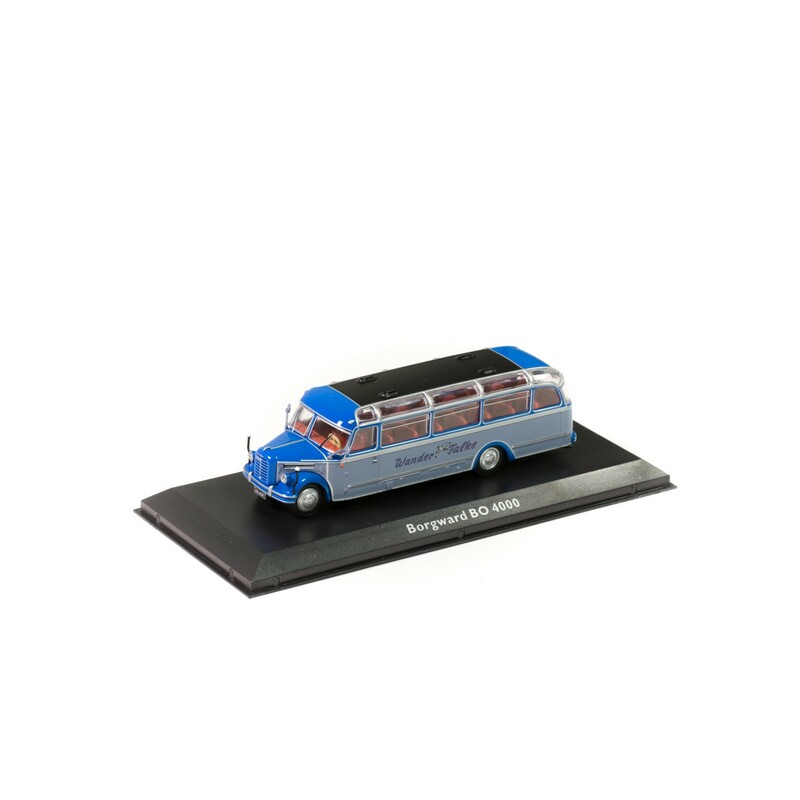 Model made of metal, complete with display base and box. BEDFORD VAL: Large six-wheel touring coach manufactured by Bedford, with insignia of the Wallace Arnold company. 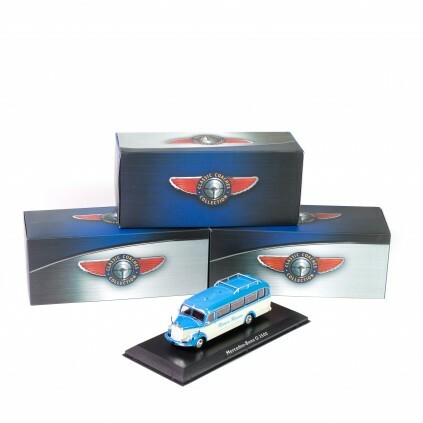 Model made of metal, complete with display base and box. 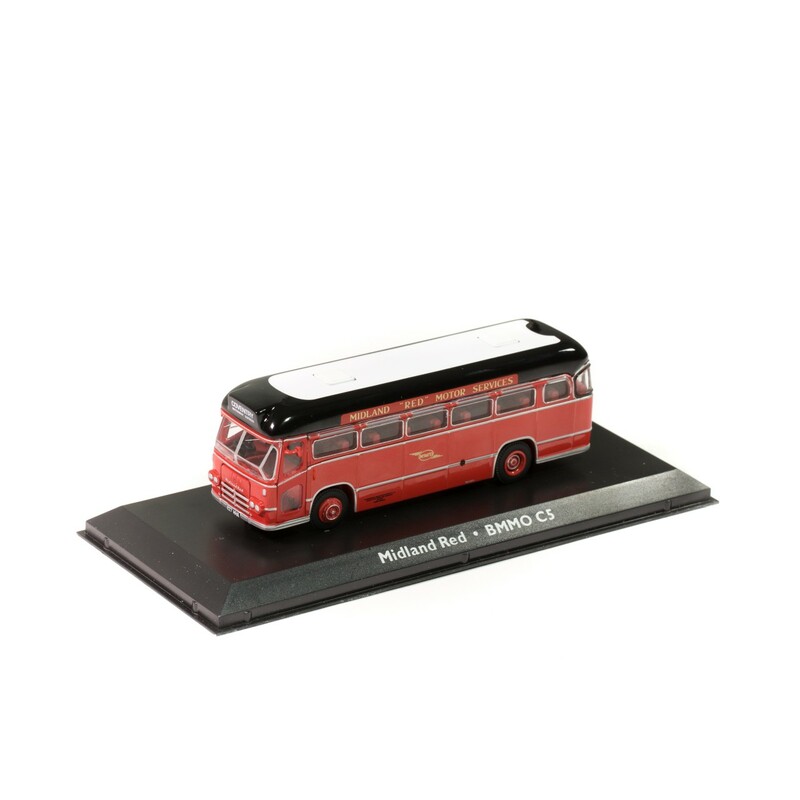 IFA H6 B: Sturdy 32-seat bus produced in 1958 in East Germany, where it was used extensively inside and outside cities. 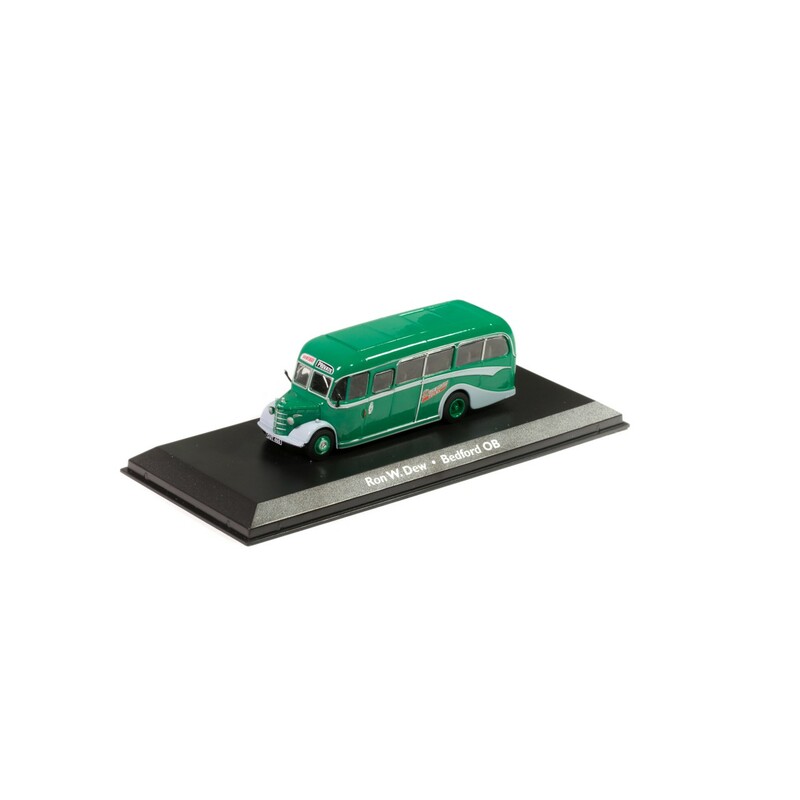 Model made of metal, complete with display base and box. 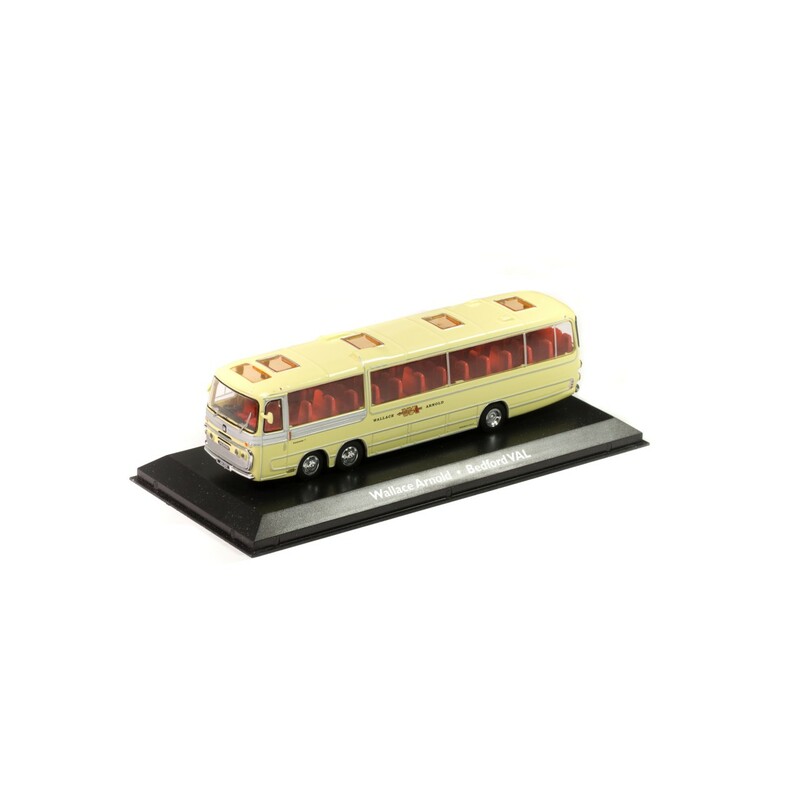 BURLINGHAM SEAGULL: Elegant bus produced by Blackpool firm Burlingham, with insignia of the JT Whittle & Son company. Model made of metal, complete with display base and box. 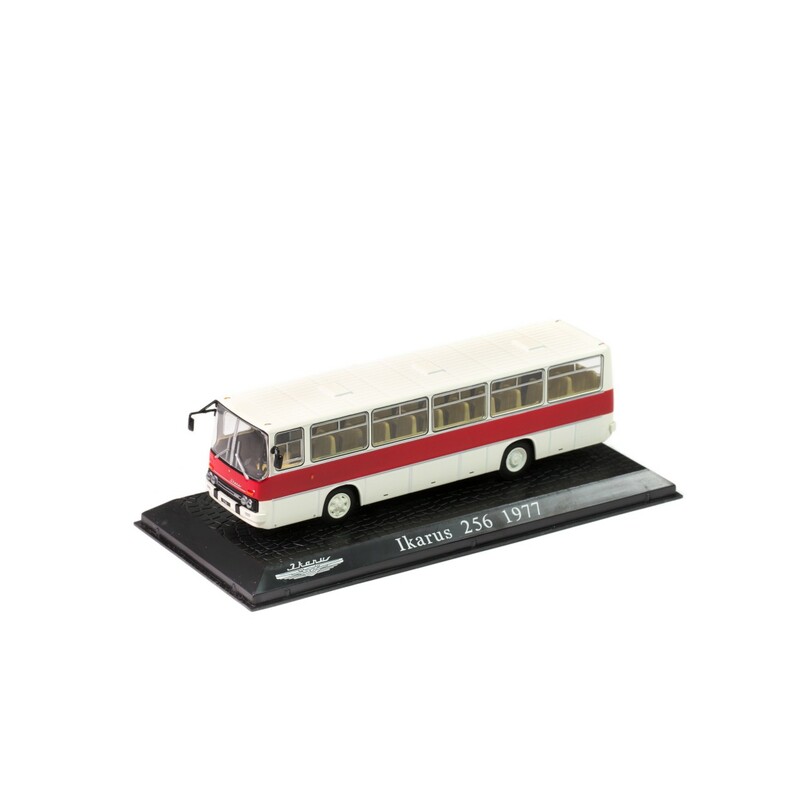 IKARUS 256: Modern tourist coach from 1977, produced by Hungarian firm Ikarus. 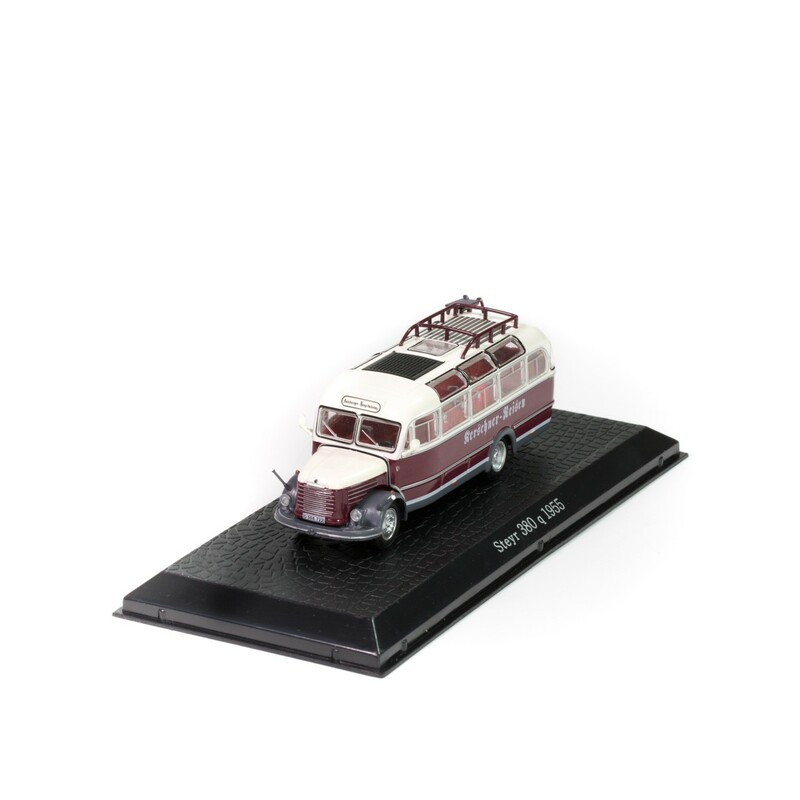 Model made of metal, complete with display base and box. 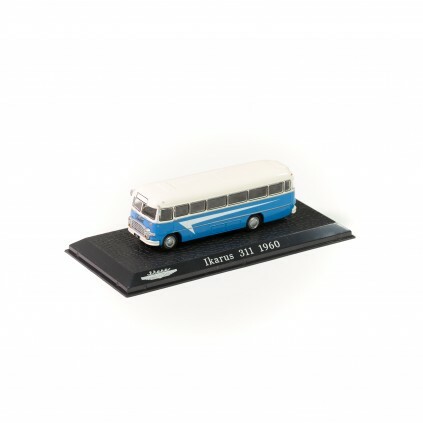 IKARUS 311: Characterized by a self-supporting bodywork, the Hungarian Ikarus 311 from 1960 was a very good mid-class bus. 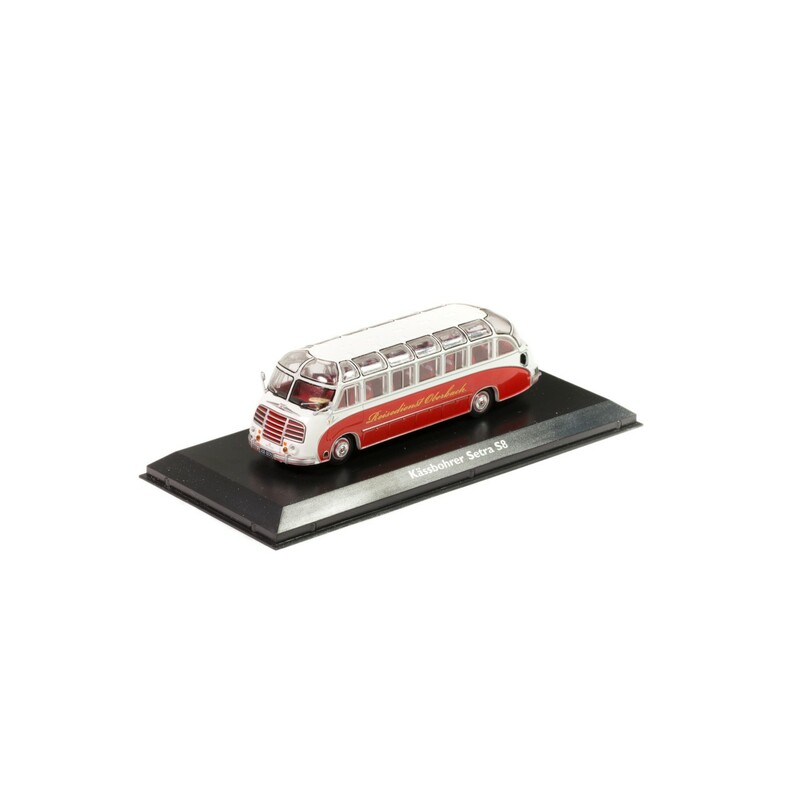 Model made of metal, complete with display base and box. IKARUS 620: Urban bus with front engine, produced by Hungarian company Ikarus. 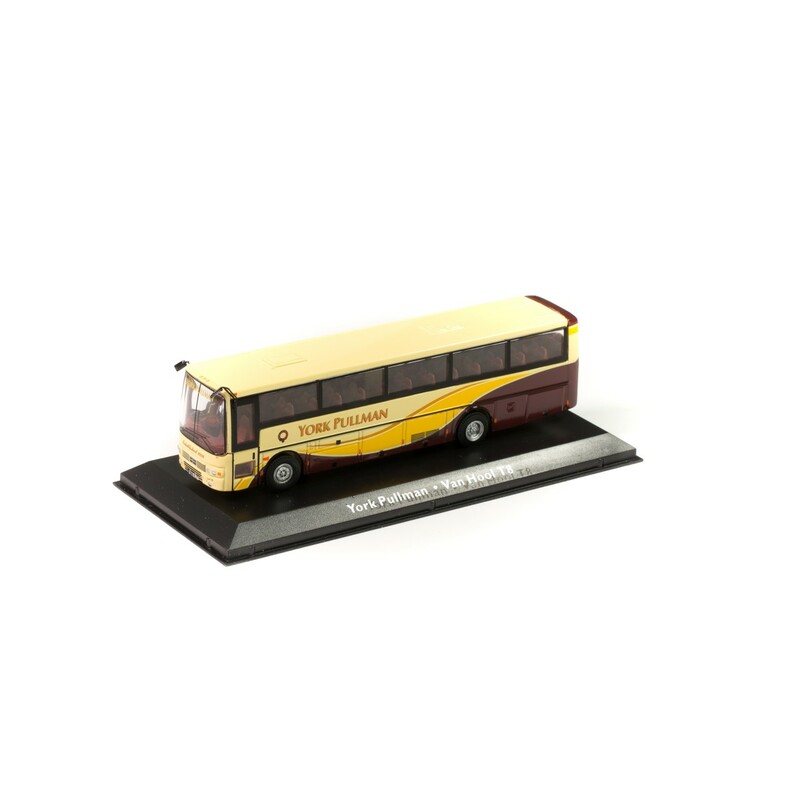 Model made of metal, complete with display base and box. 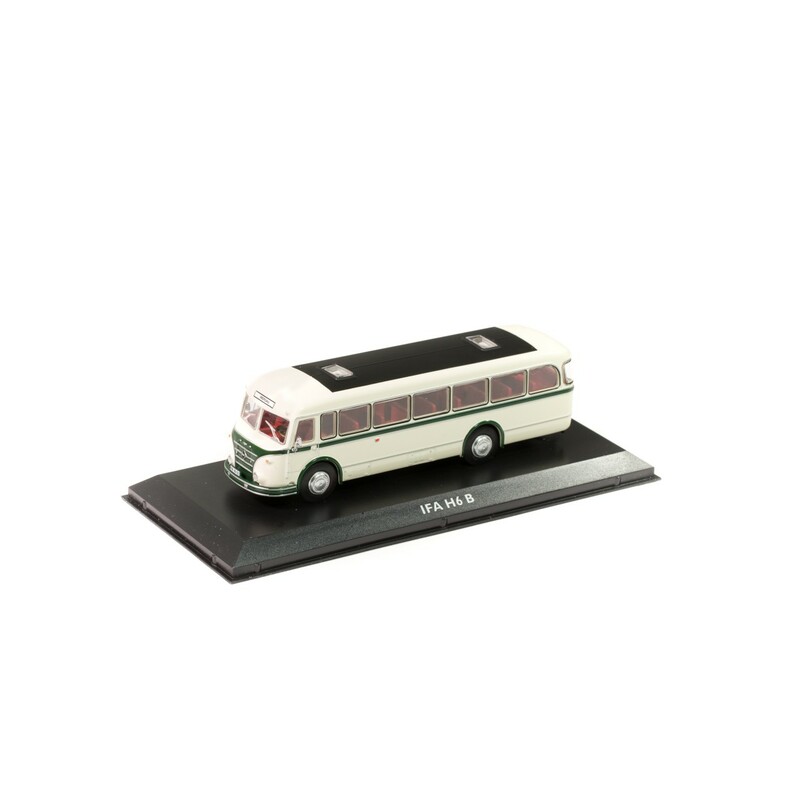 IKARUS 66: Imposing rear-engined Ikarus bus for use inside and outside cities. 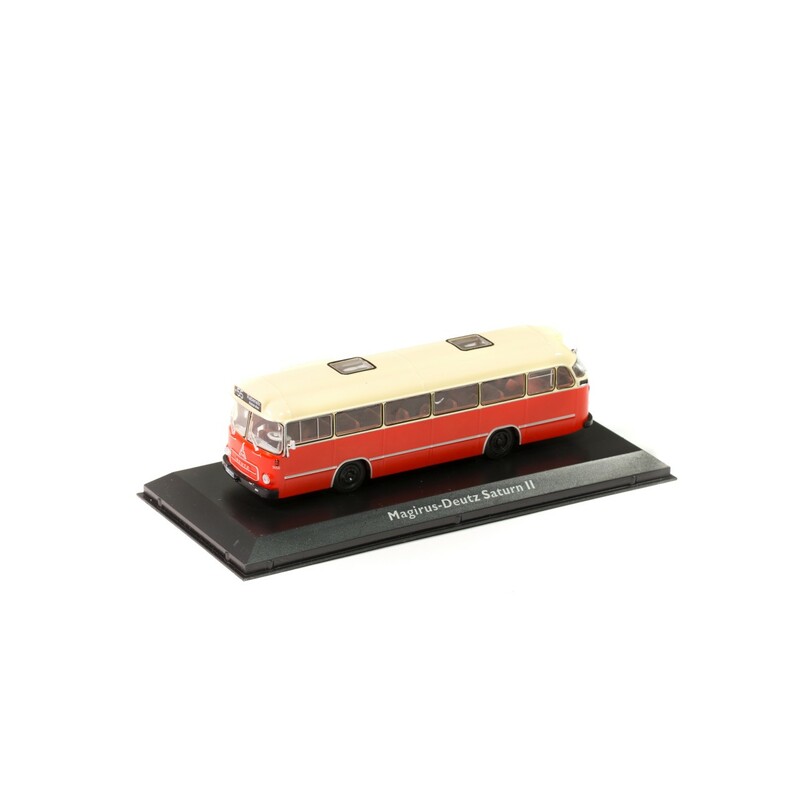 Model made of metal, complete with display base and box. KÄSSBOHRER SETRA S8: The German Setra S8 had a modern, aerodynamic body. 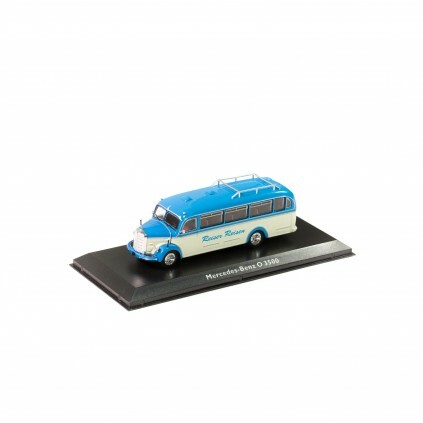 The model has the insignia of travel company Reisedienst Oberbach. Model made of metal, complete with display base and box. STEYR 380 Q: Designed by Austrian company Steyr for the difficult alpine roads, it is painted in the colors of Austrian travel company Kerschner Reisen. Model made of metal, complete with display base and box. 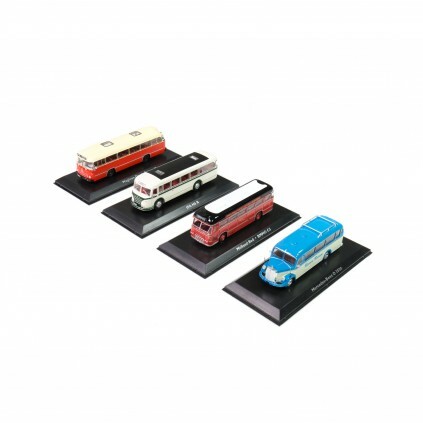 KRUPP TITAN O 80: Based on the German Krupp S 80 heavy truck, this large bus is reproduced with the insignia of Austrian company Senior Luxus. Model made of metal, complete with display base and box. 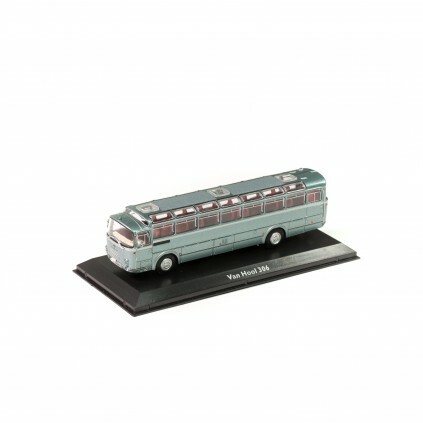 VAN HOOL T8: Modern Belgian tourist bus from 1979. Colors and insignia of British company York Pullman. Model made of metal, complete with display base and box. MAGIRUS DEUTZ SATURN II: Hamburg Urban bus produced by German company Magirus-Deutz. 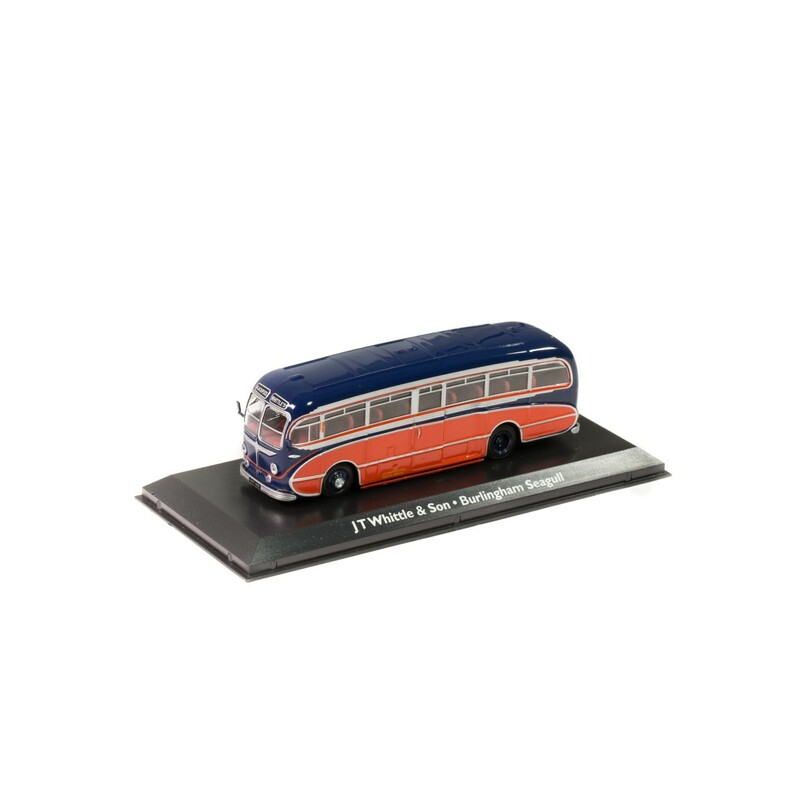 Model made of metal, complete with display base and box. 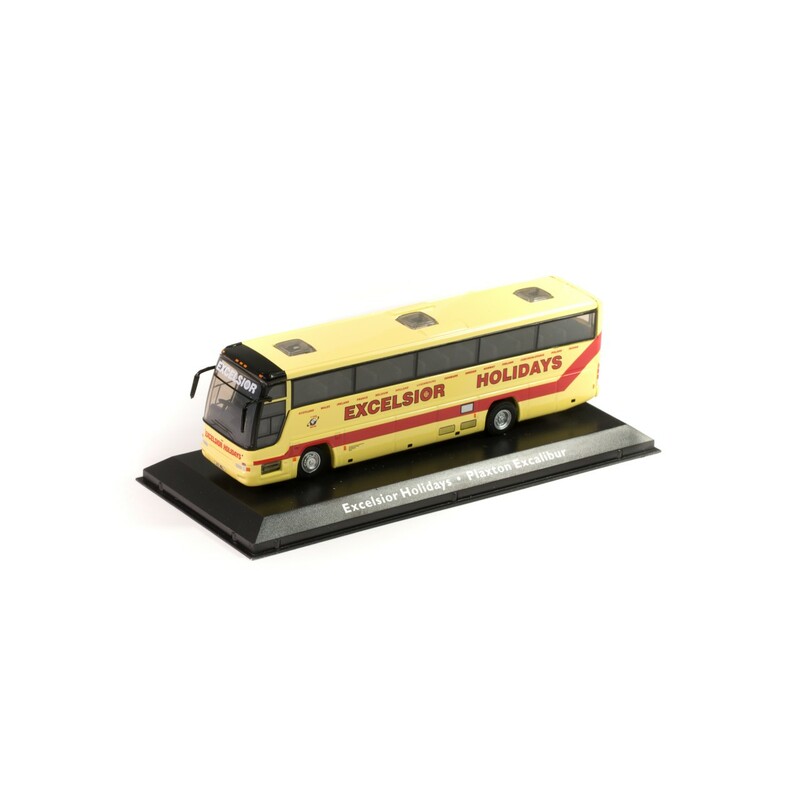 PLAXTON EXCALIBUR: tourist bus from 1991 produced by Plaxton. Colors and insignia of British company Excelsior Holidays. Model made of metal, complete with display base and box. MERCEDES BENZ O 3500: The two-tone livery and insignia of this Mercedes O 3500 are of German company Reiser Reisen. 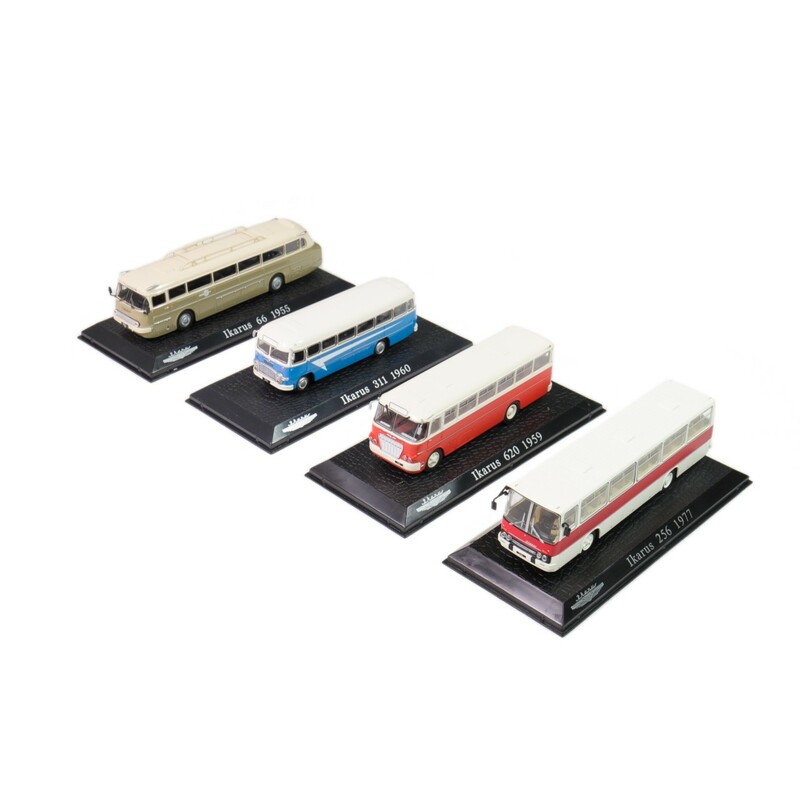 Model made of metal, complete with display base and box. 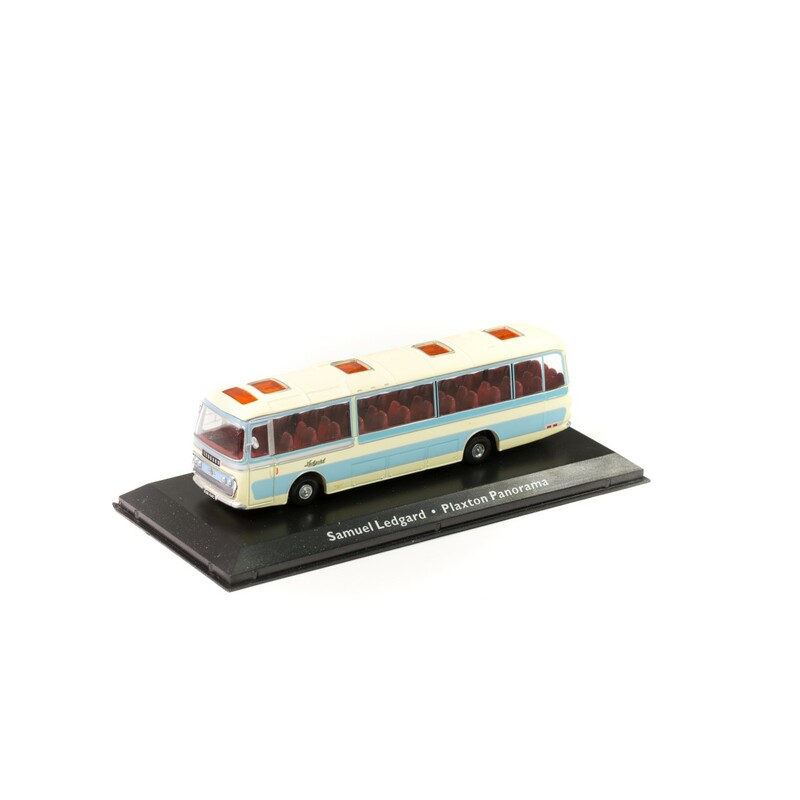 PLAXTON PANORAMA: the famous British Plaxton Panorama with the colors of the Samuel Ledgard company. Model made of metal, complete with display base and box. 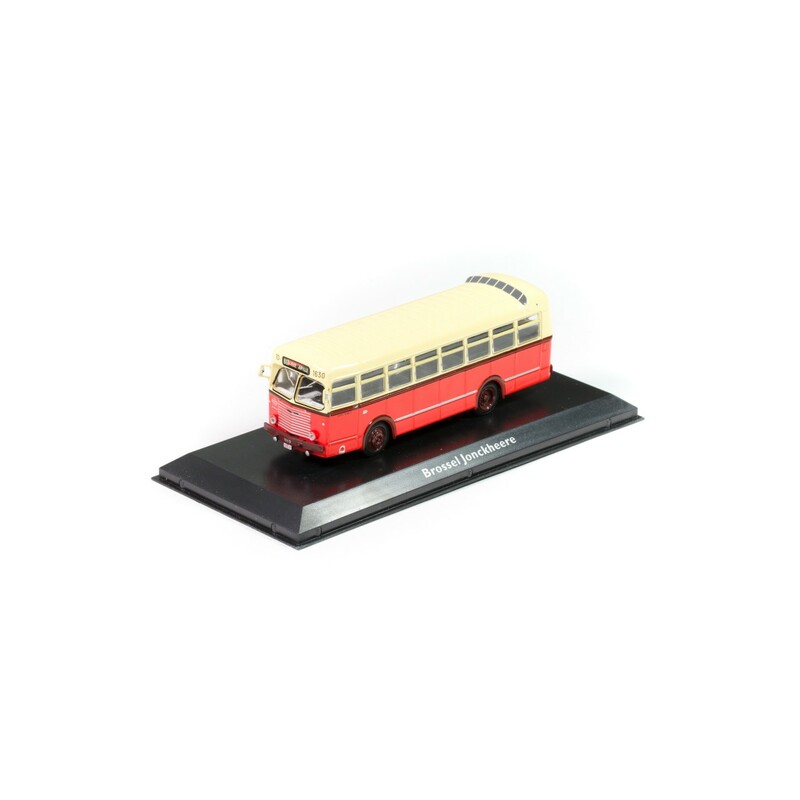 BMMO C5: Bus manufactured by the Birmingham & Midland Motor Omnibus Company for public transport services in the Midlands. Model made of metal, complete with display base and box. VAN HOOL 306: Large tourist bus produced of Belgian automaker Van Hool with extensive glass panels. Model made of metal, complete with display base and box.